RenaultSport introduced the Clio R3T rally car to join its fleet of customer race cars composed of the Twingo R2 Evo, Twingo R1 and the Megane N4. The new rally car is powered by a 1.6-liter turbocharged four cylinder engine mounted to a Sadev-sourced six-speed sequential transmission. The car will be introduced at the Rallye du Var part of the RenaultSport Rally Trophy Championship. It will be able to compete in the R3 category world wide. More details in the press release after the jump. 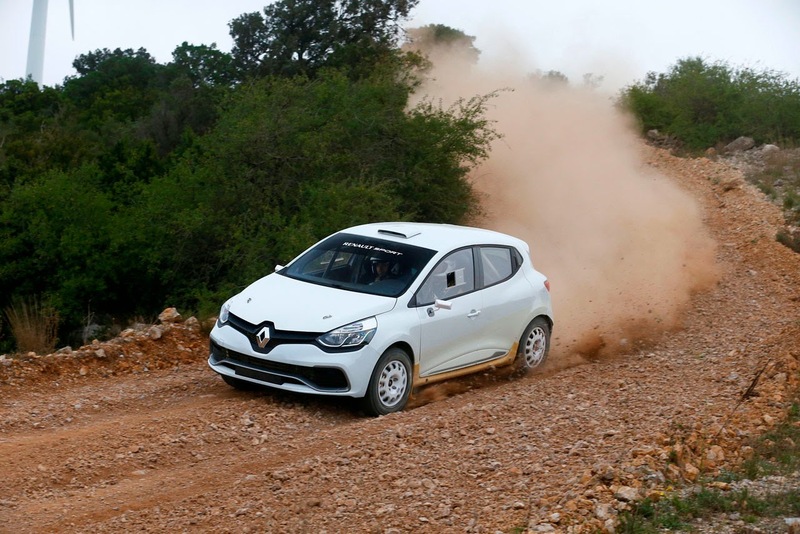 Renault Sport Technologies has strengthened its involvement in rally with the unveiling of the Clio Renaultsport R3T. 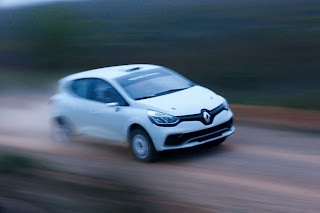 Due to be approved in 2014, the new turbo-engined model will be on show at the Rallye du Var, the last round of the Renaultsport Rally Trophy season. Unveiled in 2006, the Clio Renaultsport R3 has made an indelible mark on Renaultsport's involvement in rally. Offering performance comparable to the Super 1600 at half the cost, the car has scored hundreds of wins and dozens of titles the world over. 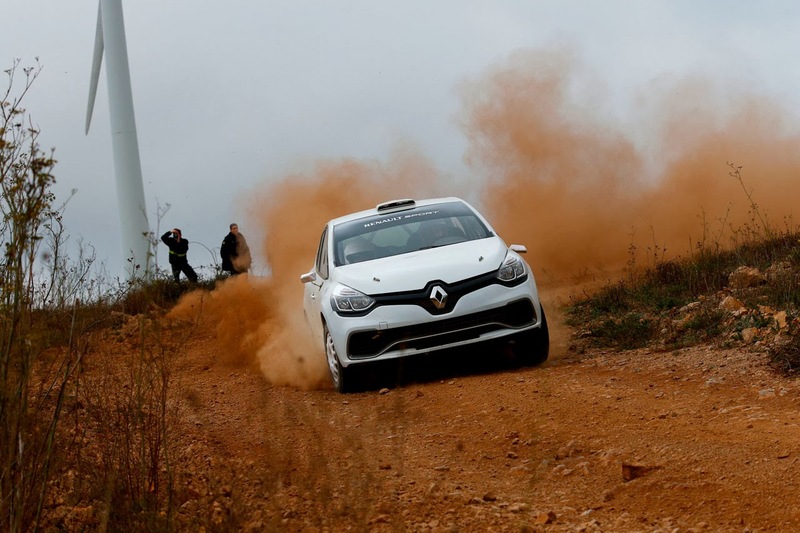 The sale of 373 kits is an indication of the success Renault Sport Technologies has enjoyed with the first of its models built to comply with the FIA R3 regulations. The rally range has grown in size and quality since then, with the addition of the Twingo Renaultsport R2 Evo, Twingo Renaultsport R1 and the Mégane Renaultsport N4. Joining them on the scene next year will be the Clio Renaultsport R3T. Taking as its template the Clio Renaultsport 200 Turbo EDC, a car universally recognised for its performance and versatility on the road, the Clio Renaultsport R3T has been designed to open up new horizons for the crews that drive it. The Clio Renaultsport 200 EDC's turbocharged 1618cc engine has been specifically adapted to racing by Renault Sport's engineers. The kit comprises a six-speed sequential gearbox, with steering-wheel paddle shifts offered as optional in the asphalt version. In offering its customers a cohesive and reliable package, Renault Sport Technologies relies on renowned suppliers such as Sadev for gearboxes, Sachs for shock absorbers, PFC for brakes and Cosworth for electronics. "With the Clio Renaultsport R3T, our aim has been to come up with a high-performance, reliable vehicle adaptable to every type of surface, all for an operating cost below that of the product it replaces," said Renault Sport Technologies Motorsports Director Arnaud Boulanger. "The success enjoyed by the first generation of Clio Renaultsport R3s has bolstered our belief that this formula is especially well suited to meet the requirements of our customers. This class has given Renaultsport the opportunity to find its feet and to excel in a number of markets, several of them outside Europe, with our cars now present in Asia and the Pacific, Latin America and Oceania." He added: "Initial tests have been promising and a lengthy development campaign has been scheduled in the lead-up to the kit's approval. Put through its paces by several drivers, the Clio Renaultsport R3T will be tested for more than ten weeks on dirt and tarmac with a view to identifying the best options." The car is expected to receive approval early in the second half of 2014.